Looking for a fun girl's night out? Join Suzanne Woolf on Tuesday, February 13 from 6:00 - 8:00pm to create your own vision book. 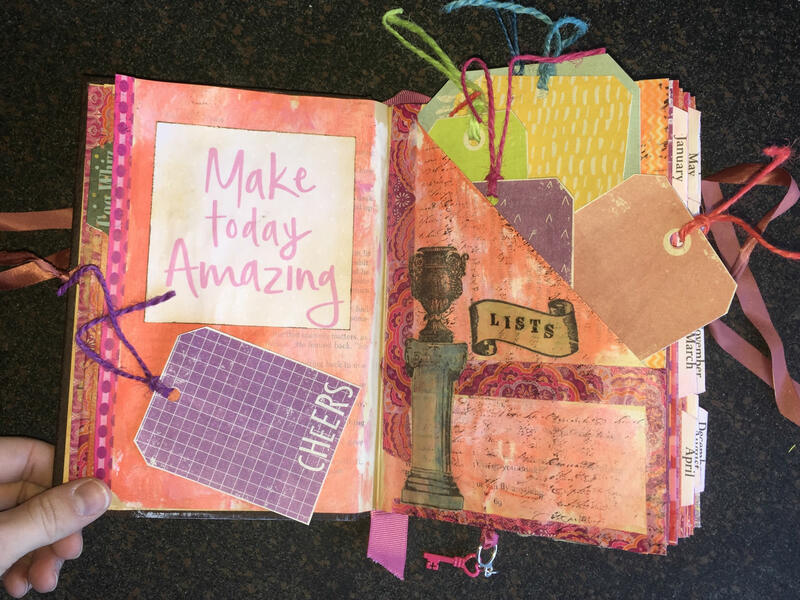 A mash up of a planner, vision board, and journal: all combined in an altered book that you make with guidance from published art journal artist Suzanne Woolf. Learn the basics of preparing the book and pages for a number of techniques like collage, paint, stenciling, and assemblage. By the end of the workshop you will leave with a unique altered book, the start of an amazing vision book in which you can continue to record your story, goals, special events, art techniques, personal messages, or ideas. You do not need to be an artist to enjoy this workshop. The book and supplies will be provided for you along with templates to use to create your personal vision. Bring your sister, mother, daughter, friend and also BYOB.